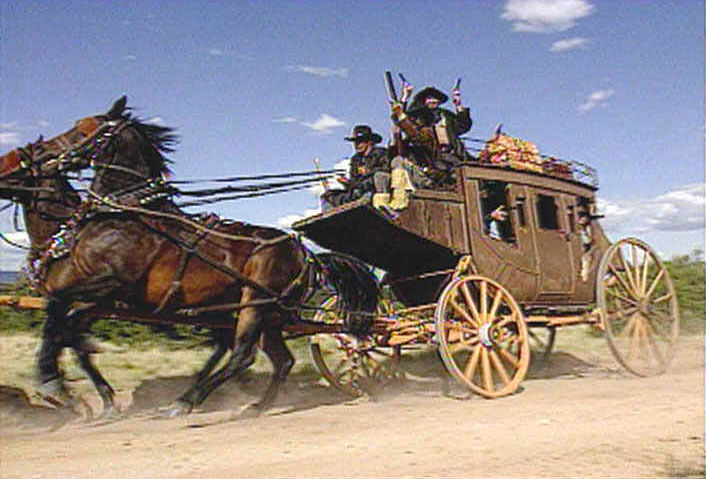 To be honest, those stagecoaches of the Old Far West were not the greatest people-and-goods movers. But... that was all we had in those days. Had it not been for them, Texas might never have become what it is today. Those were days of high adventure. You might have suffered a rough ride then, but the Stagecoach was everyone's link to civilization and the outside world. Stagecoaches did their job well, and acquired a great reputation for reliability. That's what we are. Reliable. Our equipment is considerably better than that available in the early 19th century, and our country's roads are immensely better too. These are resources available to every mover. We know how to move things from point A to point B without damaging them. And that's what we do. We also know how hard you work to earn your money, so we price our work fairly. Why? Because every time we gain a new customer, we look forward to having met a friend. Please visit our Residential and Commercial pages. You might prefer to use the links at the left sidebar.